Movies have been a long-standing important medium that has been used to present a Christian message. I believe the first Christian-themed movie I saw was the 1953 Martin Luther movie when I was in grade school at Madison Lutheran School in Madison, Wisconsin. They showed the movie every fall around Reformation time. It is actually online now. 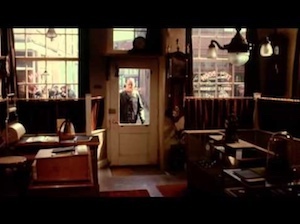 The second Christian-themed movie I saw was the story of Corrie ten Boom, The Hiding Place (1975), also freely-available online, in English with Romanian subtitles. That movie featured a Christian family in Haarlem, Netherlands, that hid Jewish people in their home during the Holocaust. Both movies portrayed individuals facing current events in their lives (in the 1510’s and the 1940’s) that challenged their Christian faith and made a difference in the lives of others. They also both left a lasting impression on me. There is a long list of recent movies that reflect Christian values that could follow here, but I will suggest two recent movies that have also left a lasting impression on me. The following are personal favorites that would generate interesting discussion for a movie night with family or friends. The Good Lie (2014) is one of my favorite movies and also portrays individuals faced with events in our lifetime that challenge Christian faith – raising the question “who is my neighbor” that Jesus answered in the parable of The Good Samaritan. You can view a trailer of the movie online on Youtube followed by the full-length movie available for $2.99. We’ve bought our own DVD copy and have watched it several times. It is worth renting or buying a copy online. 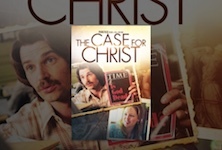 The Case for Christ (2017) is based on the real story of Lee Strobel who is the author of a best-selling book by the same name. 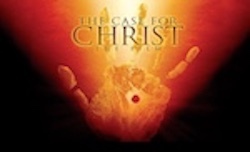 It features an atheist investigative reporter’s journey as he tries to disprove an historical Christ. A preview introduces the film available for $2.99. Since I am a Netflix subscriber I downloaded a copy from there. In another video, Lee Strobel tells his own story on YouTube. So grab some popcorn, follow the links below, and enjoy!